Posted on 16, February 2016 by EuropaWire PR Editors | This entry was posted in Entertainment, Media, Sports, United Kingdom and tagged Anthony Joshua MBE, Charles Martin, IBF world title, Sky Sports Box Office, The O2. Bookmark the permalink. 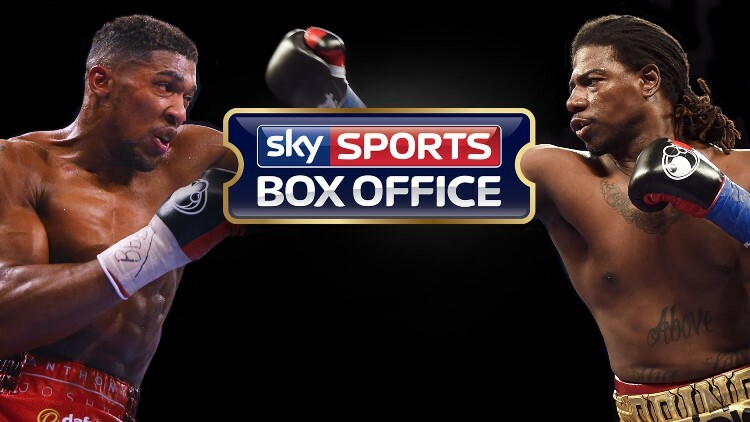 British heavyweight sensation Anthony Joshua MBE will challenge Charles Martin for the IBF world title live on Sky Sports Box Office on 9 April at The O2. Isleworth, UK, 16-Feb-2016 — /EuropaWire/ — Destiny calls for Joshua who will contest the Heavyweight World championship after just fifteen fights in his professional career. Since capturing Olympic gold in the super heavyweight division in 2012 and turning professional a year later, hard hitting Joshua has knocked out all fifteen of his opponents and remains unbeaten. Only Dillian Whyte whom he fought in December last year has taken him further than the third round. ‘Prince’ Charles Martin represents a significant step up in class and a big gamble for Joshua. The unbeaten American southpaw impressed when he won the vacant IBF world title in January against Vyacheslav Glazkov in his 22nd professional contest. The 29yr old from St Louis is tall and powerful but has never fought outside the United States, something Joshua will see as an advantage as he prepares to top the bill at London’s O2 for the fourth time. Preview and analysis from The O2 will be provided by Adam Smith, and former world champions Johnny Nelson, Carl Froch and Jim Watt, as well as a range of boxing experts. Sky Sports viewers can look forward to an extensive schedule of support programming providing the best possible analysis of the fight across our channels and digital outlets. In addition to Joshua v Martin Sky Sports will show many more nights featuring the biggest names in boxing this year including Carl Frampton’s clash with Scott Quigg for the IBF and WBA Super-Bantamweight titles later this month, and Kell Brook’s contest for the IBF Welterweight title with Kevin Bizier in March. Viewers will also be able to follow the next generation of British boxers including Sam Eggington, Scotty Cardle Lee Selby, Luke Campbell MBE, and Anthony Crolla. Sky has annual revenues of over £11 billion and is Europe’s leading investor in television content with a combined programming budget of over £4.9 billion. The group employs 30,000 people and is listed on the London Stock Exchange (SKY).